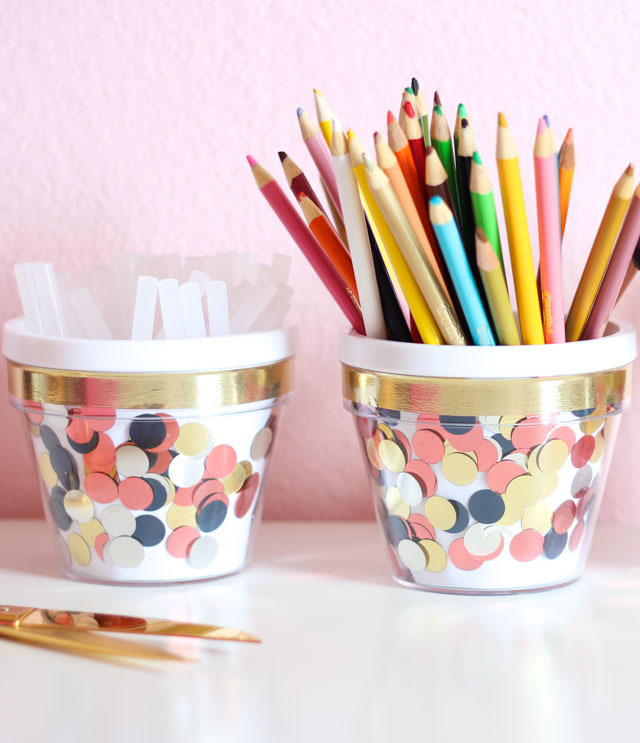 Raise your hand if you own washi tape! This colorful patterned tape originally from Japan has been a favorite of craft bloggers around the globe for years. However, I’ll often have readers that have never heard of it before or had the chance to use it. If you are still new to washi tape, there is no better time than the March Craft Challenge to try it out! Washi tape is the star material of this month’s challenge with Oriental Trading. 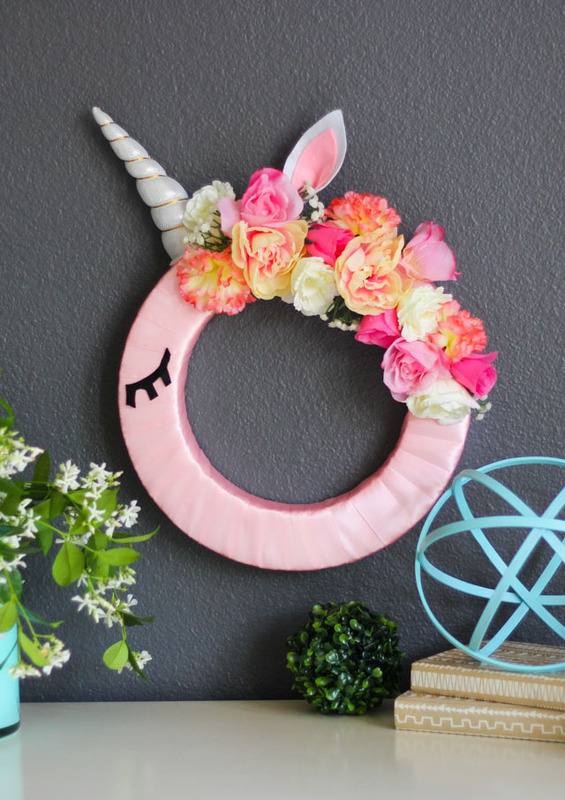 They sell a variety of colors and patterns of this pretty tape that can be used to decorate just about anything and is easily removable and repositionable. 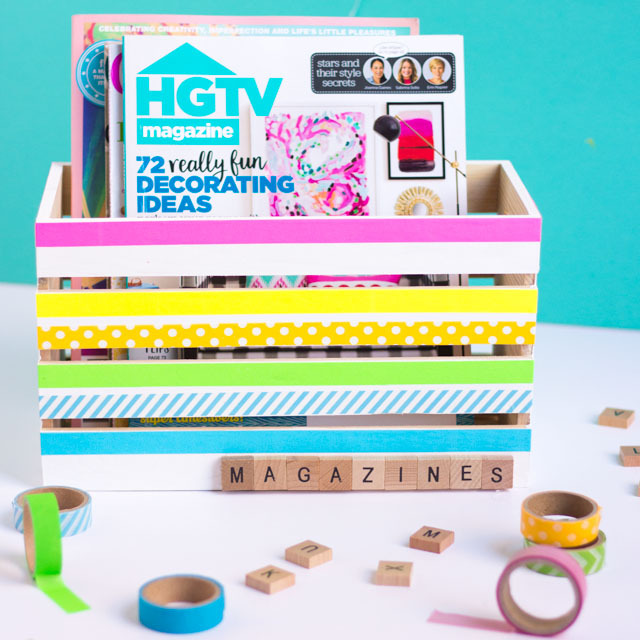 Read on to see how I created these colorful washi tape decorated storage crates! These sturdy wood crates are the perfect size to keep our library books and magazines corralled. 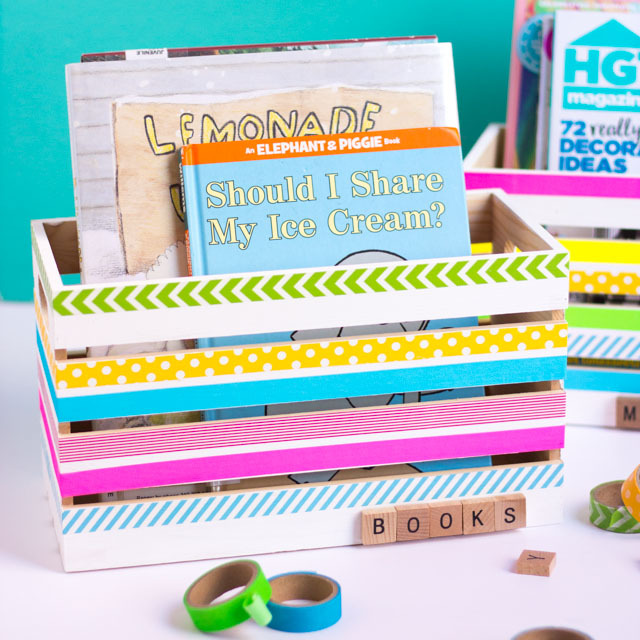 They would be great storage boxes for so many things from toys, to craft supplies, to bathroom storage. 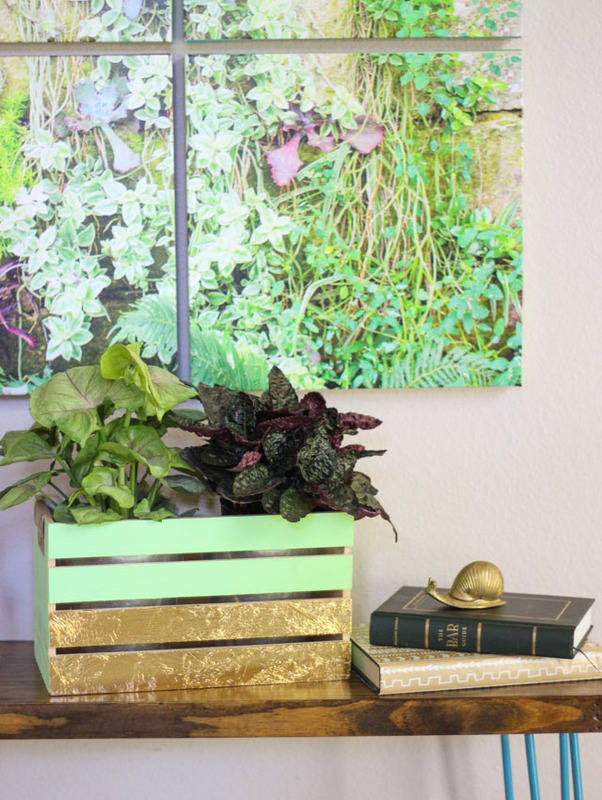 The crates come as natural wood, so they are just asking for a colorful makeover! 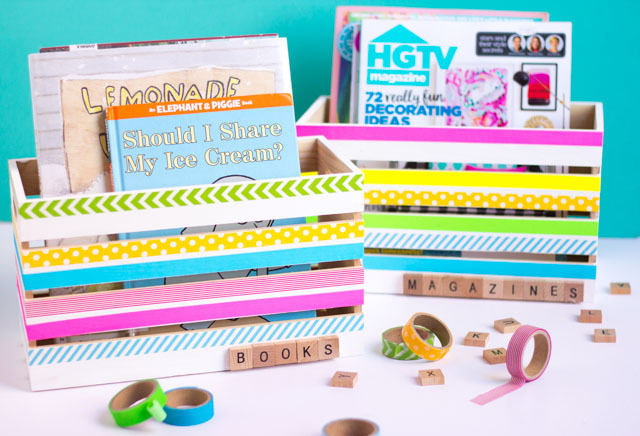 I painted the crates white and then just wrapped a variety of colorful washi tape around each of the slats. I then used these fun alphabet tiles to label the crates. I love how these turned out and think a full set of them would make for the prettiest storage in a pantry, closet, or bookshelf! 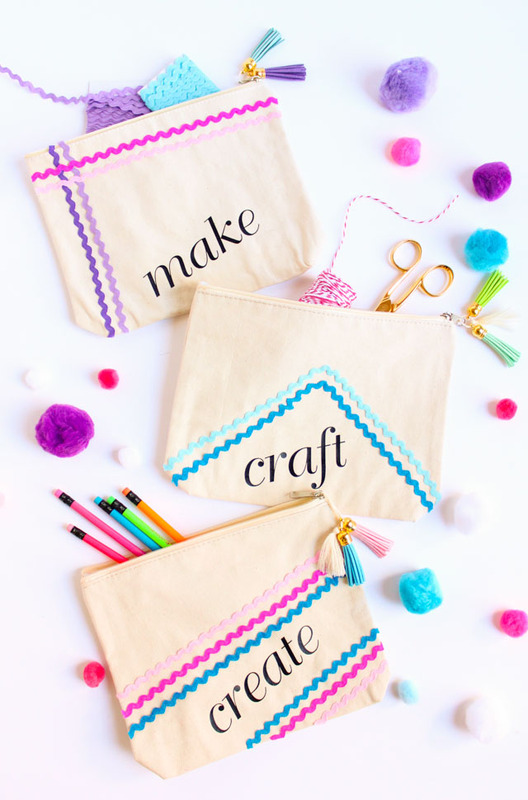 Head to Oriental Trading’s blog for the full list of supplies and step-by-step washi tape decorated crate tutorial. Don’t miss the other washi tape ideas for March’s Craft Challenge!